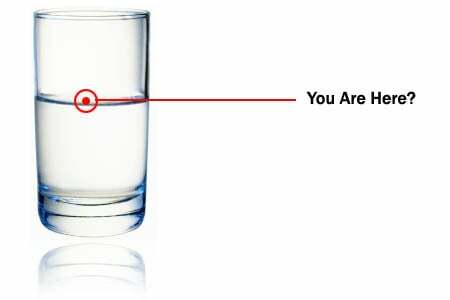 Is the glass half-full or half empty? Is your mobile app nearly complete or is it almost finished? Aren’t these 2 ways of describing the same thing? Perspective in life can mean a lot, but when it comes to mobile app development, there are no such things as optimists or pessimists. Your app isn’t finished until it’s on your device and working the way it’s supposed to. Hmmm…Nearly Complete or Almost Finished? We’ve seen a lot of companies claiming to be “expert” mobile app developers but can’t finish the job. Some blog about the technical process of developing and boast about their skills. Others advertise the number of apps they’ve published but are offshore somewhere and don’t even have a phone number to call them on. As it turns out, human interaction is more important than ever in the digital age and these kinds of companies are keeping us busy at SolutionBuilt. What happens if the unthinkable occurs? You find a developer and pay some or all of the costs for your mobile app up front. Shortly after beginning your project the developer disappears, goes out of business, or just doesn’t have the know-how to complete your project? If you’re lucky, you might at least have some incomplete code for your unfinished app. If you’re unlucky, you have nothing but a law-suit to look forward to in your future. It’s a scary scenario to consider, but through the years we have been shocked to see how many app developers claim to be the best, but can’t finish a project. We recently hooked up with Private line to pull together their semi-complete app project, on a tight time-line during the week before Christmas. Private Line’s owners were referred to an app development company in another state, who they retained to develop and launch the app in the Android Market. Shortly after starting the project, communication with the developer ended and Private Line’s owners were left with almost nothing. Luckily, the previous developer mailed Private Line a DVD with the incomplete code and file structure. Desperate for help, Private Line performed a simple Google search for app developers and reached out to SolutionBuilt in Atlanta, GA. After a quick meeting and about a week later — just in time for their 2012 release, Private Line’s development was completed, tested and published to the Android Market.